I’m so sorry I have been a bit MIA the last twoish weeks and have only posted one new diy project and two new recipes – but I have good excuses! First off, outside of a wonderful visit from my sister, and a separate visit from my in-laws, brother-in-law and his girlfriend, the last two weeks have been an exhausting string of car issues. Between the confusion/frustration of trying to switch from a horrible customer service car insurance agent to a wonderful agent to spending 5 days and many long hours at a variety of auto shops – even though I have never even been in a car accident or had a driving ticket… go figure – the last two weeks have been hectic, to say the least. Anyways, I am now hoping and praying we won’t have any more car issues and that I will be able to re-focus my attention on Domestically Blissful and you! 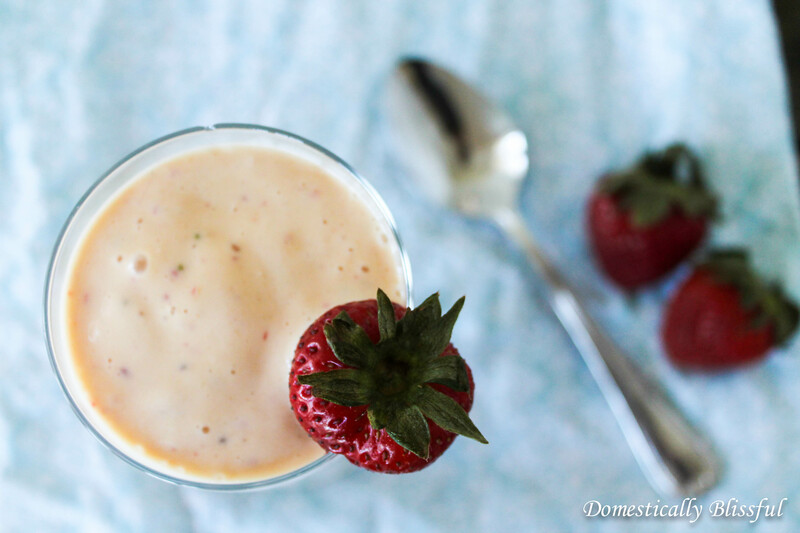 So to get us started this summer I thought we would start with a Mango Strawberry Milkshake! 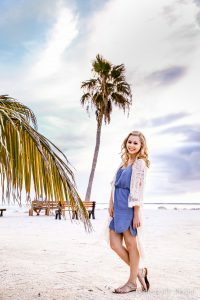 One of my husband’s specialities – outside of soups, macaroni and cheese, and grilled cheese sandwiches – are milkshakes. Yes he has a lot of specialities, we like to play around with the idea of someday opening some sort of little restaurant or cafe. 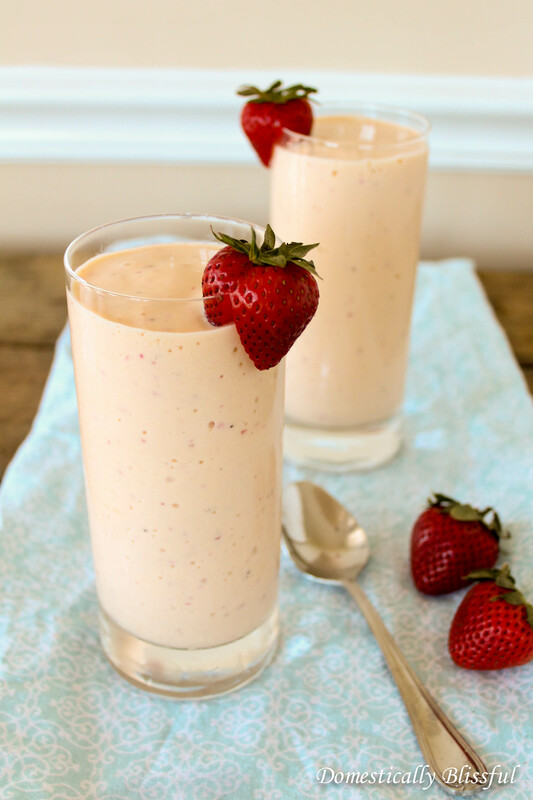 The first milkshake that Roger ever made for me was his Fresh Strawberry Vanilla Milkshake. It was love at first taste! 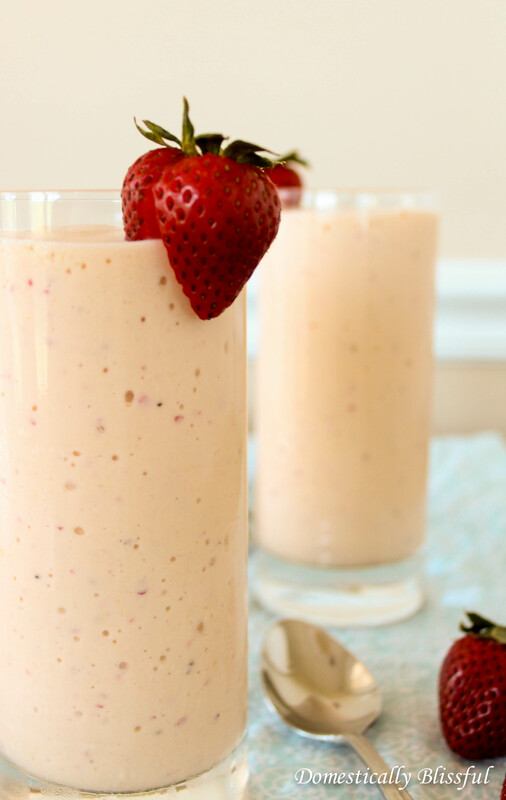 Even though I love the tropicalness – yes I did just invent a new word – of this Mango Strawberry Milkshake, his Fresh Strawberry Vanilla Milkshake will always be my favorite. But hey, you gotta have variety some times! First, peel and cut 1 large mango and cut the 6 strawberries into medium sized pieces. Place the fruit, ¾ cup mango nectar, ¼ teaspoon vanilla extract and ½ cup milk into the blender and puree the ingredients – the button on our blender is puree/milkshake. Then add 8 (small) scoops vanilla ice cream to the blender a few at at time, and blend the milkshake again – puree/milkshake. It will thicken as you add the ice cream and you can continue to add a small scoop here and there until you reach your desired thickness. 8 small scoops gives a fairly thick milkshake, which is what we prefer. 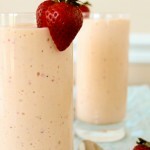 Top with a fresh strawberry and enjoy this Mango Strawberry Milkshake in the summer sun, by the pool, or on the beach! Then add 8 (small) scoops vanilla ice cream to the blender a few at at time, and blend the milkshake again – puree/milkshake. The size of the scoops of ice cream will depend on the size of your ice cream scope, but it looked to be around 2-3 cups of ice cream. The milkshake will thicken as you add the ice cream and you can continue to add a small scoop here and there until you reach your desired thickness. 8 small scoops gives a fairly thick milkshake, which is what we prefer.